On January 23, 2015, to mark the 70th anniversary of the liberation of Auschwitz-Birkenau, the Hong Kong Holocaust and Tolerance Centre will hosted its first-ever half-day teachers’ workshop on themes relevant to the end of the Second World War and liberation. The three talks included pedagogical methodologies for classroom use. Speakers were Simon Goldberg and Prof. Glenn Timmermans (HKHTC) and Miguel Maneros De Lemos (Faculty of Law at University of Macau). 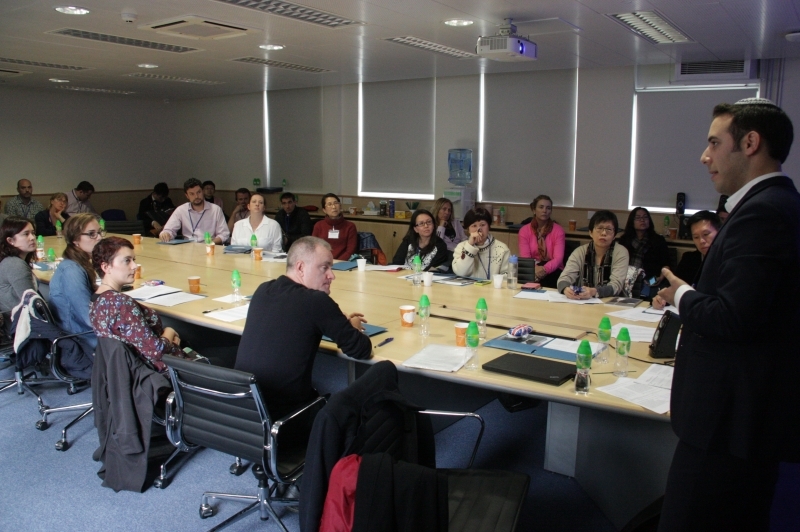 The workshop was attended by 45 secondary school and university educators from Hong Kong and Macao, representing the following faculties: History, English, Philosophy, and Religious Studies.